The new issue of the fantastic FLORIDA TRAVEL & LIFE magazine takes a look at 52 wonderful weekend getaways and concludes that on Sanibel or Captiva Island, your “best sleep” are the historic seaside cottages at the legendary ‘Tween Waters Inn Beach Resort. We couldn’t agree more and encourage you to visit us today! However, one word of caution: with all there is to play and do across our 13 gorgeous, private Gulf beaches-to-bay acres of paradise, you won’t get too much sleep! 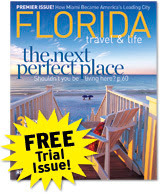 To read more, go to www.floridatravellife.com. For info on our historic seaside cottages, spacious suites, gracious guest rooms and new seaside studios, visit www.tween-waters.com or call 800.326.5443 today. Remember: Tidings blog readers enjoy exclusive discounts by emailing marketing@tween-waters.com and noting “Blog Savings” in the subject line.